The European Research Council (ERC) is 10 years old this year. The ERC was set up in 2007 to support and stimulate ground-breaking basic research by providing generous grants for outstanding projects in Europe: ERC grants are awarded solely on the basis of the scientific merit of the proposed projects and are worth millions of euros. During the ERC’s first decade, LMU Munich has won more of these prestigious awards than any other university in Germany: At the present time, 61 of LMU’s academic staff hold ERC grants. [Press release: Ten years of the ERC] The spectrum of fields involved ranges from Archaeology and Developmental Psychology to the Biosciences and Nanosciences. “We are naturally very pleased that our researchers have been so successful in acquiring ERC grants. The financial support provided by the EU is a fundamental component of LMU’s third-party funding. Our roster of ERC grants is an eloquent indicator of the quality of our researchers and a reflection of LMU’s international standing,” says LMU President Bernd Huber. 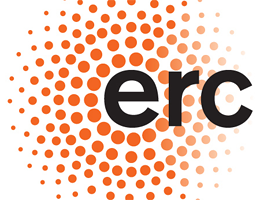 The ERC’s programs are targeted both to established investigators and to young researchers who are at an early stage of their academic careers. The latter are eligible for so-called Starting Grants, which enable them to undertake ambitious projects and establish their own individual research profiles. Astrophysicist Til Birnstiel studies the evolution of protoplanetary disks, and has just moved to LMU with an ERC Starting Grant. Ralf Jungmann won an ERC Starting Grant – and with it a physics professorship. His research utilizes DNA-based nanotechnology to visualize biological structures that have dimensions of a few nanometers. Philipp Stockhammer ERC project assesses the impact of Late Bronze Age trading networks on the diet and cuisine of the Eastern Mediterranean, and finds parallels with modern globalization.